Aware of the ecological impact of our shipments, we strive daily to find and offer more environmentally friendly alternatives to our customers. To reduce this impact, we reuse the packaging of our suppliers in our own shipments. The «chips» filling the gaps in our packages are made from... corn! And a different note, the entire Team replaced bottled water with tap water. 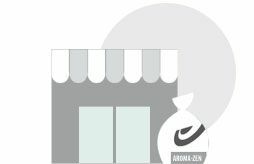 At Aroma-zen, delivery times and fees vary by country of destination and type of deliveray (ex: Poste, relay point,...). On this page, you will find all information related to rates and delivery times. We strive to offer you the lowest shipping costs, bearing in mind that the fees charged are only part ot the shipping cost that Aroma-zen takes on. On average, each shipment costs 6 euros to Aroma-zen. Moreover, packaging costs are not reflected in your shipping costs. To that, we must add the cost of return that we are charged by carriers when a package has not been claimed by a customer (not good !) . Group orders with your relatives increases the value of your cart and you can therefore benefit from free shipping. Shipping costs are offered from 49 euros purchases in relay points and 59 euro purchases for home delivery : Who do you say « thank you » to ? Aroma-zen offers a multitude of products in different fields (food, cosmetics, ecological household products, ...). Grouping your needs via your wish list allows you to get closer to free shipping and it’s a huge time saver, while limiting travel ! Several times a year, Aroma-zen offers reduction of shipping costs whatever the amount of your order. To be notified, make sure you register to our newsletter. ! Choose the poste office in which you wish to be delivered. 10 000 poste offices are available everywhere in Metropolitan France. The package remains 10 working days in the post office. Once this period exceeded, your package is returned to Aroma-zen. Do you prefer to pick up your package to one of your favorite shops? La Poste offers 7500 relay points near your home, workplace or holiday place. The package remains 10 working days at the shop. Once this period exceeded, your package is returned to Aroma-zen. Do you work late? Choose one of 500 withdrawals lockers accessible 7/7 et 24 hours a day. The package remains 3 working days in the deposit. Once this period exceeded, your package is returned to Aroma-zen. Mondial Relay has more that 7000 relay points in France . Whether it’s a supermarket, a newsagent, a dry cleaner or a florist: you will find a relay point near your home or workplace. After presenting your ID to the shopkeeper, he will give you your parcel against signature : there you go! The shopkeeper keeps you packag for14 days. After this period, the package will be returned to us. Your are unable to pick up your package? A friend or relative can do it for you if he has your ID in addition to his. Your mailman is our intermediary to deliver your parcel by hands or in your mailbox. You are away and the package is too big for your mailbox ? It will be at your disposal at your poste office. You have 10 working days to pick it up. After this time, the parcel will be returned to us ( a warning e-mail is sent to you wihtin 6 days). In any case, you are informed by e-mail 24 hours before delivery of your package. 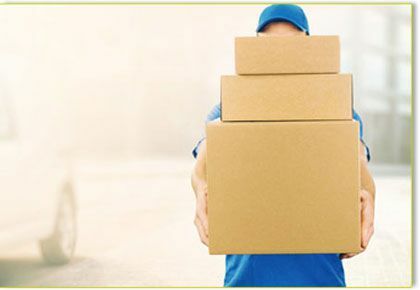 Home delivery signed up upon receipt, Your mailman is our intermediary to delive your parcel by hands against signature. For any order from 79€ of purchase, home delivery will be automatically against signature. The signature helps protect high value parcels. Removal at the warehouse Free ! The package remains 14 working days in the post office. Once this period exceeded, your package is returned to Aroma-zen. 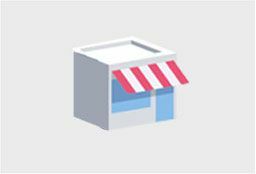 Do you prefer to pick up your package in one of your favorite shops? 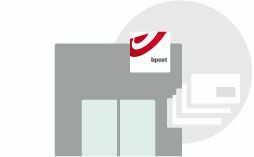 Bpost offers several thousands relay points. 14 working days at the shop. Once this period exceeded, your package is returned to Aroma-zen. Mondial Relay has several thousand relay points in Belgium. Whether it is a supermarket, a newsagent, a dry cleaner or a florist: you will find a relay point near your home or workplace. After presenting your ID to the shopkeeper, he will give you your parcel against signature: there you go! The shopkeeper keeps your package for 14 days. After this period, the package will be returned to us. You are unable to pick up your package? A friend a relative can do it for you if he has your ID in addition to his. You are away? 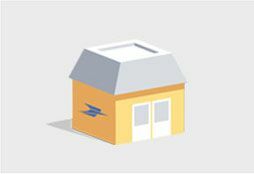 A delivery notice is left in your mailbox and your package will be at your disposal in post office. 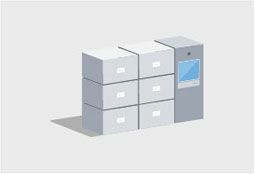 You receive an e-mail or a sms informing you about the availability of your package in your relay point. If after two to four days you haven’t pick your package up yet, Bpost send you a reminder as to how long your package will be waiting for you. Delivered at home by hands against signature: your mailman is our intermediary. For any order from 79€ of purchase, home delivery will be automatically counter-signed. Signing at the time of delivery helps protect high value’s parcels. Want to shake hands? 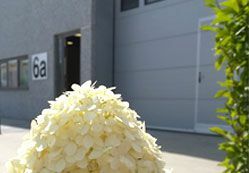 Aroma-Zen invites Belgian customers to come in its offices to pick up their package, avoiding delivery costs ! Place your order and make online payment, our team takes care of the rest. Your order is prepared quickly and is generally available the same day: you are notified by e-mail. Myriam and Sandra pamper your order and ensure that your package arrives safely. In general, our super-packers take less than 8 hours to prepare all orders places in the morning and the day before in the afternoon. Each of our «little ants» walks approximately 16 km per day while crisscrossing the shelves of our stock! In rush season, the entire Aroma-zen team comes to lend a hand to our 2 parcel preparators. We have set ourselves a goal : our packages mut ALL be prepared before our carriers arrive at 11.30 AM. All orders placed the day before and the morning itself must be ready to hit the road. If an order is placed after 11.30, we prepare it and give it to the carrier the next day. Eating sweets while working ! Our René Descartes in inventory management. Singing to feel great ! *Placed = order whose payment has been validated (depends on the method of payment and subject to the availability of the items). As soon as your parcel is ready and delivered to the carrier, we send you an e-mail to inform you. When the carrier receives your parcel, he sends you the tracking number by e-mail. * As a general rule, the delivery time to France for all our carriers is estimated at 2 to 5 working days. The delivery time information shown in this table is an average based on a sample of parcels delivered to their recipients. **During summer, the period of custody for packages deposited in post offices is longer. The period of custody changes from 10 working days to 30 working days. You can go on vacation with peace of mind !